A fresh, crisp acoustic sound with undeniable harmonies surged across country radio stations 35 years ago when The Judds’ first single, “Have A Dream (For The Heart),” peaked at No. 17 on Billboard’s Hot Country Songs in 1984. Country music’s sonic landscape changed after that. 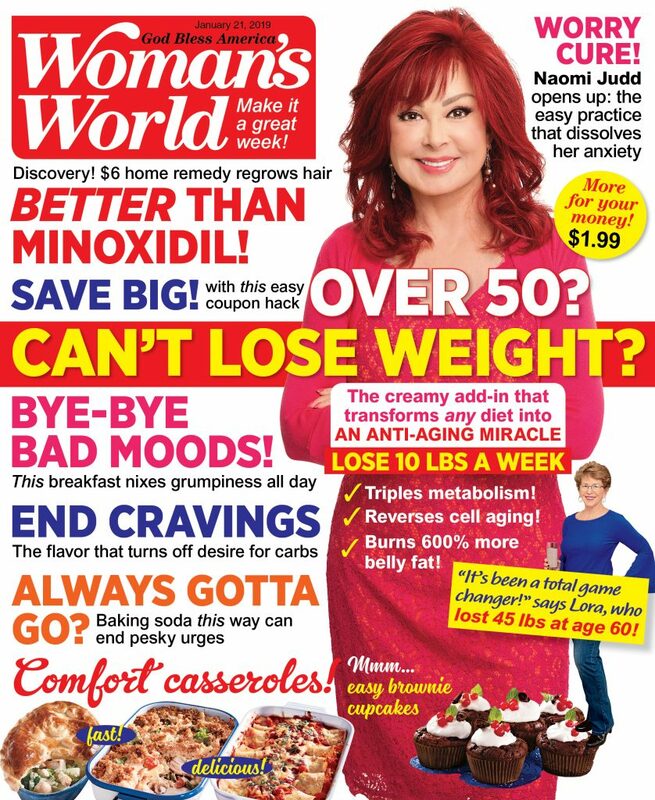 This year marks The Judds’ 35th anniversary of unparalleled success…a feat Naomi Judd opens up about in the January 21st issue of Woman’s World, on newsstands now. Back then, the only thing we knew was how to sing and that we had each other: We were totally dependent on that,” Naomi shares with Woman’s World. As Woman’s World shares, at her core, the 73-year-old is still a courageous mother who worked hard to forge a better life for her kids…and today she even has a scholarship devoted to helping other women do the same. In the issue, Naomi also shares secrets to peace, joy and chasing dreams.